A while ago I started thinking about building an OpenROV. They’ve got a very successful kickstarter campaign underway but I plan to self-source it. The project is open but the design files are all done in Autocad Inventor. 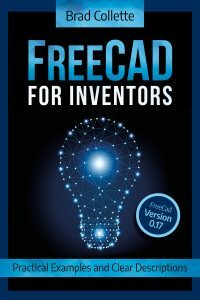 I wanted to see if FreeCAD could model everything, so I started redesigning the files as fully constrained sketches. This means the the critical dimensions of the various parts can be changed and everything else will adjust correctly. If you want to change the thickness of the acrylic used, it’s relative straightforward to adjust the dimensions. So far, I’ve done the major frame pieces. One other change I’m making with my design is the shell. The stock OpenROV has a large shell that is made from a single piece of acrylic. It has two 90 degree bends to wrap around the sides. This is a problem for me for a couple reasons. 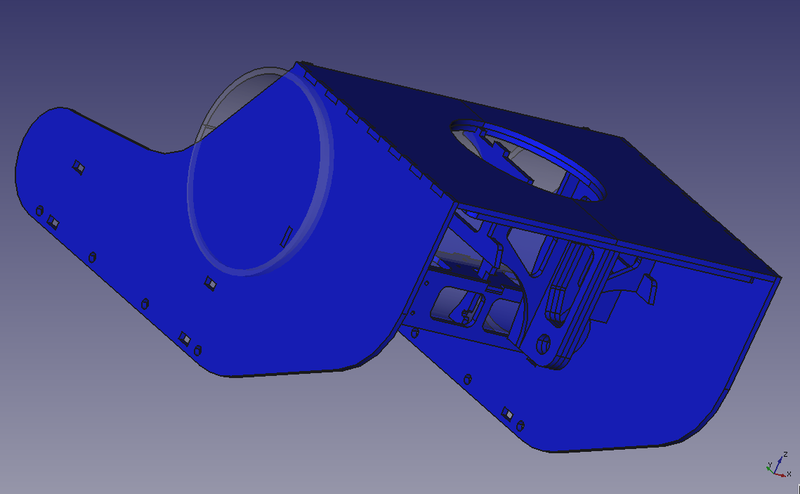 First, FreeCAD can’t model the bends yet. More importantly, the piece is too large to cut on my laser cutter and requires a hot wire bender which I’d have to build or buy. My variation cuts the shell into three parts that are glued together. It’s not quite as attractive as the stock design, but easier to build and will fit in the build envelope of a smaller laser. I’m publishing my files on github. 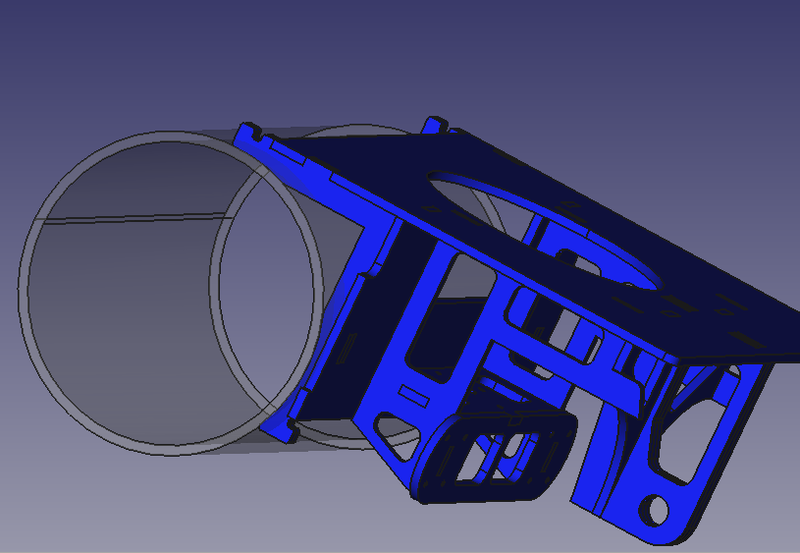 My next bit of work will be to model the parts inside the tube.